Meanwhile at the Musée du Louvre Beyonce and Jay Z rocked one more time. According the cool news they rented the legendary museum in Paris for they new music video. I adore Beyonce, I really think shes is a Queen in every way and every production that shes does is nothing but marvelous. Criativited, passion, focus and an incredible imaginagion thats how i see anything she does. 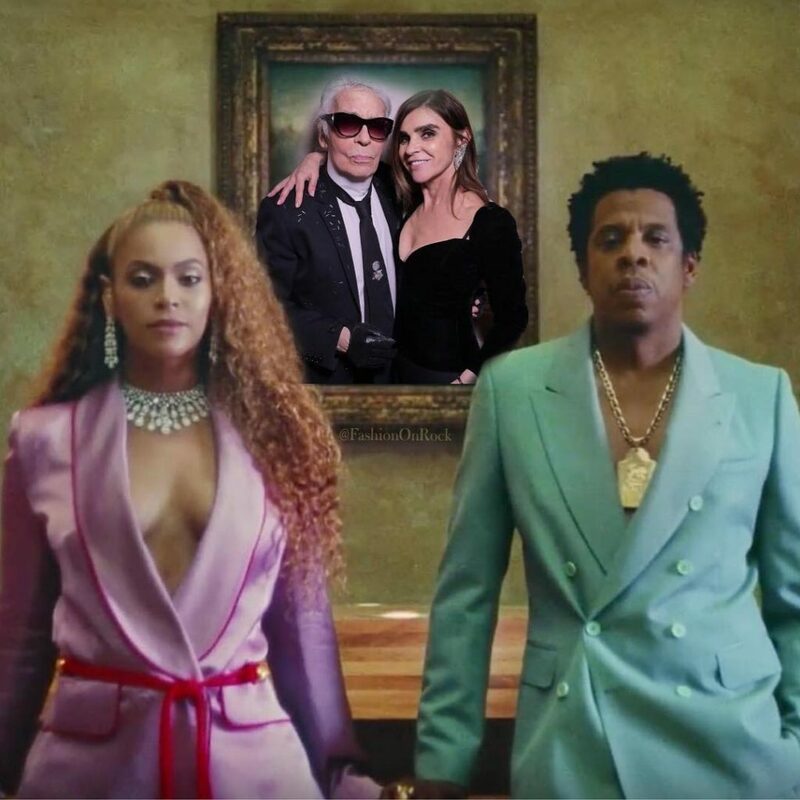 I played with my collage and added the other two that I also adore, Karl Lagerfeld and the once and only Carine Roitfeld on thge picture that was supposed to be Monalisa, I thought to make it fun and absolutely artistic. Not that Monalisa wasn’t artisctic, but a little be fashion is always a good idea.